For the purpose of this blog post I shall refer to the highlighted item as a pump or trainer but it may be that you call it a sneaker. Where possible, I shall refer to how the brand in question phrase the said item. A while back I was working with our local shopping mall and I was helping style the models in 3 different shops - Jigsaw, Mint Velvet and Joules. One of the models had THE MOST AMAZING pair of silver pumps on - they were from Jigsaw. Yesterday, on Avenue 57, I spotted another pair of silver pumps on this amazing lady, this time from Boden (but appear to be last year or before because I can't find them online today). And so now the obsessing begins .. I WANT SILVER PUMPS/TRAINERS but I do not want to pay the earth for them because I also need some white converse and I haven't even STARTED on summer sandals for the season ahead. The reason I haven't is because I'm not actually convinced we'll get one (just like last year's wash out). So after spending too long searching and not finding a cheaper alternative to the Jigsaw silver pumps it looks like I'll just have to buy those! I love them! 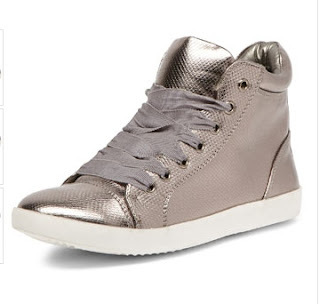 If you spot along the way some silver pumps/trainers/sneakers, please let me know! If you own some, please make me jealous and post on Avenue 57. 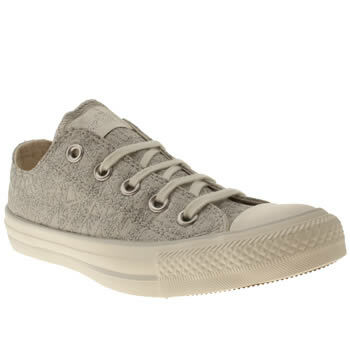 LOVE these, but you missed out the queen, Emma Hope, the style kind of came from her £300 pairs! £300 for pumps/trainers/sneakers - get away that's crazy! I love the jigsaw ones too - may wait for a discount/sale and then I'm buying! 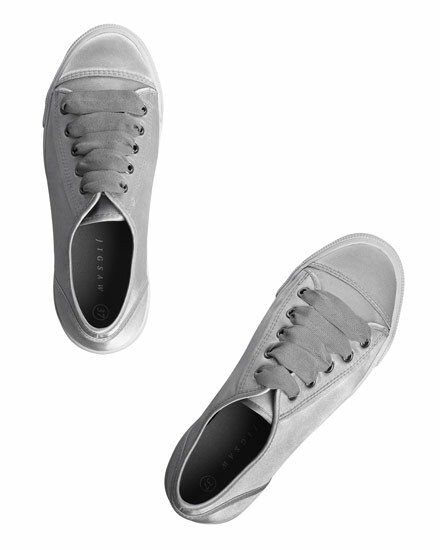 Hi there-great choice you made, I love the Superga ones too! ooh I bet in brown they are great too? I love the metallic ones for the summer .. are they comfortable? 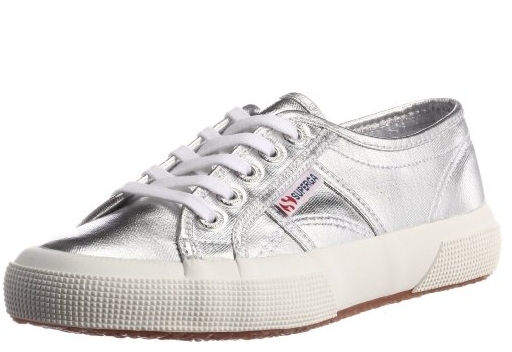 I have the Superga lame sneakers - not quite as silver as the ones shown here - a little more 'subtle' if there is such as thing when it comes to silver sneakers - but I LOVE them - they go with everything! sneakers - you said sneakers - you are really an American now!!!! I call them sneakers too. I call them trainers when I'm hitting the gym (which is never). I'm intrigued by Superga but the silver ones here are a bit too bacofoil for me this time - I would probably like Joanna's pair which are more subtle. I am now off to research silver sneakers. Because I'm like that. 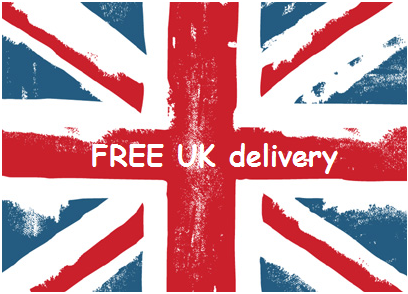 oooh yes gorgeous - wow and much more in the US than the UK - that doesn't happen often! I like the DP ones the best but I'm fond of a hi top!! LOL! I didn't really know I needed them until I'd finished writing! Now I NEED! 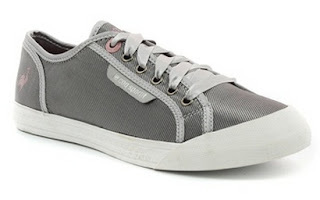 Next do a silver pair for £18 and they are spookily like another well known brand. Also a hi-top version. Might be worth a try? Thanks for a fab blog and daily inspiration from you and all the girls! oooh Next you say, well what a conveniently timed post - I'm going there within the hour! WHOOP WHOOP - thank you!! Nooooooooo! Stop showing me other Ash trainers that I now want!! It was just the Ash Genials that I drooled over ... but metallic? With chains? Oh be still my beating heart!! 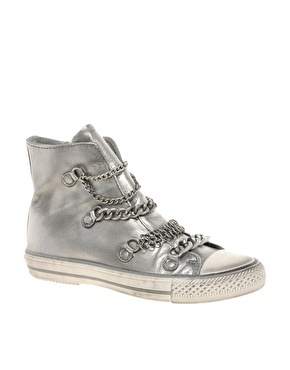 LOL - where can we each find £135 so we can have them?! !